You won’t believe it but with this story of a match, its only fitting that Roger Federer be the one to end the longest winning streak in mens tennis since John McEnroe’s run in 1984. In over 3 hours, ending after 9:30pm in near darkness in Paris, it was Roger Federer hitting one last ace to end the remarkable streak of Novak Djokovic. Final scoreline: 7-6 (5) 6-3 3-6 7-6 (5). Djokovic’s streak ends at 43, and 41-0 for 2011, just shy of McEnroe’s 42-0 start in 1984. I’m sure millions of you were watching like myself: on the edge of their seat, hands over their face when Roger missed drop shots or hit balls out. In the end it was Roger. He put immense pressure on Novak from the first game and outside of few lapses in the third set, never let up that aggression on his return games. After edging out an extremely close first set, he sensed Novak cave in a bit, and capitalized in the second set. Novak settled in and regained his full form in the third set, breaking Roger and taking much better care of his serve to win the set 6-3. However Federer would not be denied. He hung tough in the fourth set, through scary moments of love-30 games. Djokovic broke serve but it was short-lived as Federer broke back and kept the match on serve into a tiebreak. 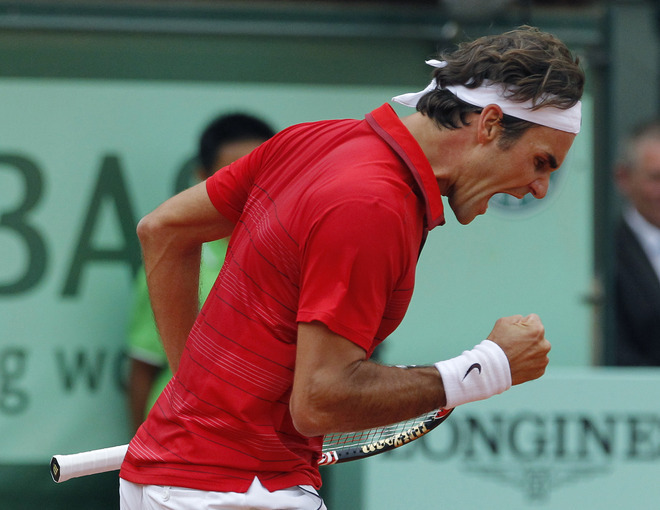 From there, fading into darkness in Paris, it was Federer who prevailed and in bold fashion. Overall, an incredible and very impressive performance. Whats his prize? A spot in the final against the greatest clay court player of our time. Earlier in the day, Rafael Nadal defeated Andy Murray 6-4 7-5 6-4, so we are all set for another Federer-Nadal final. It will be the fourth time they will meet in the final of Roland Garros, and fifth overall (semifinal 2005). 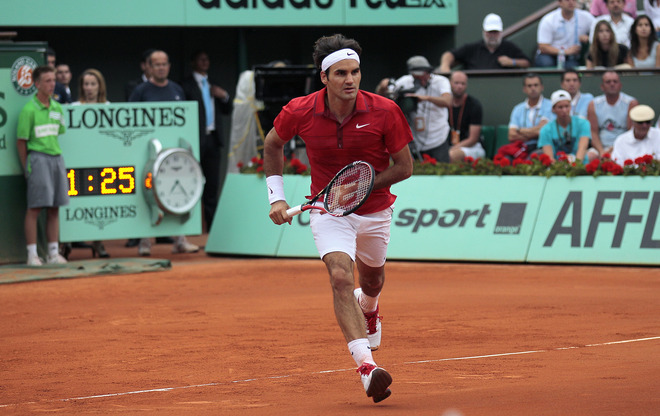 Continue to keep up with Roland Garros here on FedererFan07. Watch all of the matches right here on FedererFan07 by going to Live Streaming. 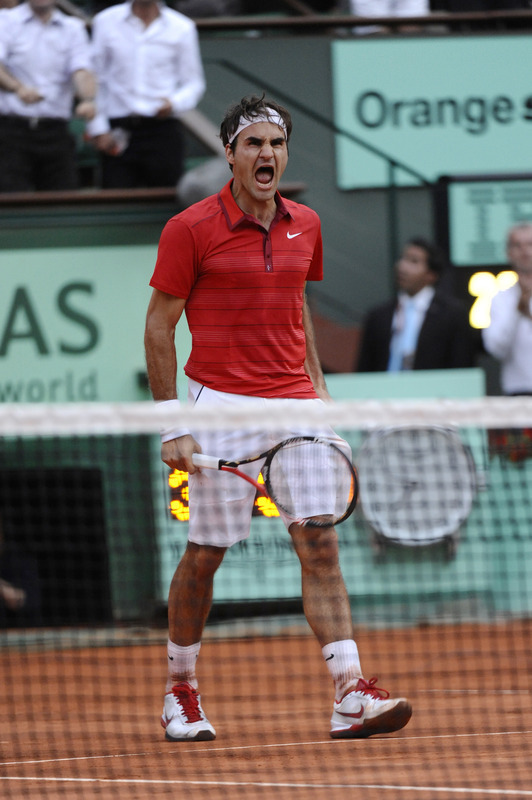 Check out all the photos in the Roland Garros 2011 album at FedererFan ZeroSeven on Facebook. Follow @FedererFan07 on Twitter for fast and easy updates. Download apps for iPhone/iPod touch and iPad below. FedererFan07 is the best Federer fan site on the web.